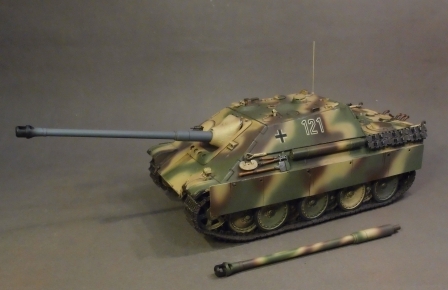 by Nazi Germany during World War II based on the chassis of the Panther tank. 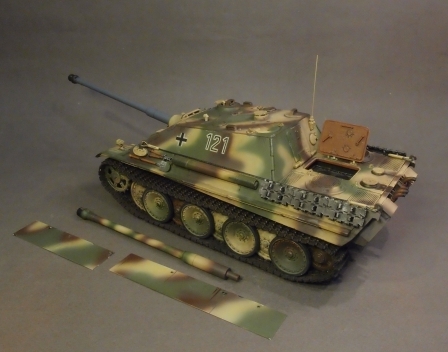 It entered service in 1944 during the later stages of the war on the Eastern and Western Fronts. 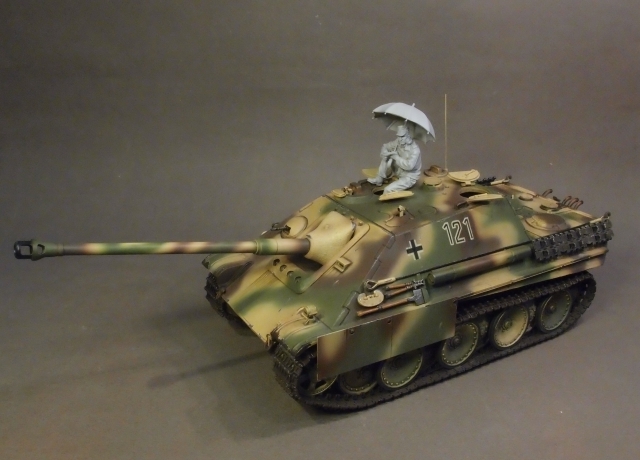 the Jagdpanther proved its worth as the most fearsome German tank destroyer of the war. and mobility that could destroy any allied tank with ease. and features the choice of cannon barrel painted in factory heat resistant grey lacquer, or tri-camo. and to combat units finished in both grey and Dunkelgelb (dark yellow) heat resistant lacquer. 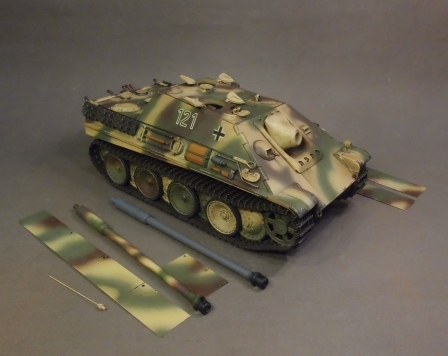 this model is meant to represent a Jagdpanther from schwere Panzerjäger-Abteilung 560 (Heavy Tank Destroyer Battalion 560). 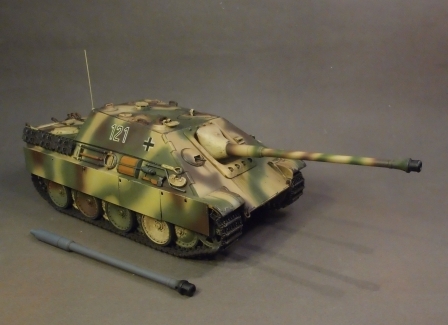 and two companies of Jagdpanzer IV L/70 tank destroyers in preparation for the Battle of the Bulge. 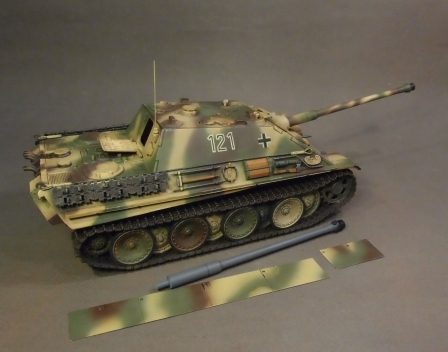 It was attached to the 12.
against the allies on both the West and East Fronts. the offensive near Lake Balaton in Hungary meant to relieve the siege of Budapest. and opening crew hatches, engine compartment, and a choice of Grey or Camouflaged gun Barrell.